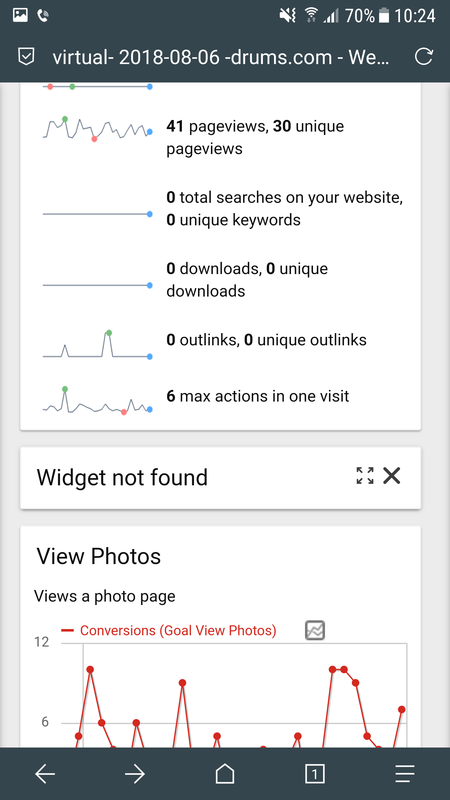 The empty widget appears to be for a goal that doesn't exist: widgetGoal_10, not sure what could cause that, maybe a goal was deleted? 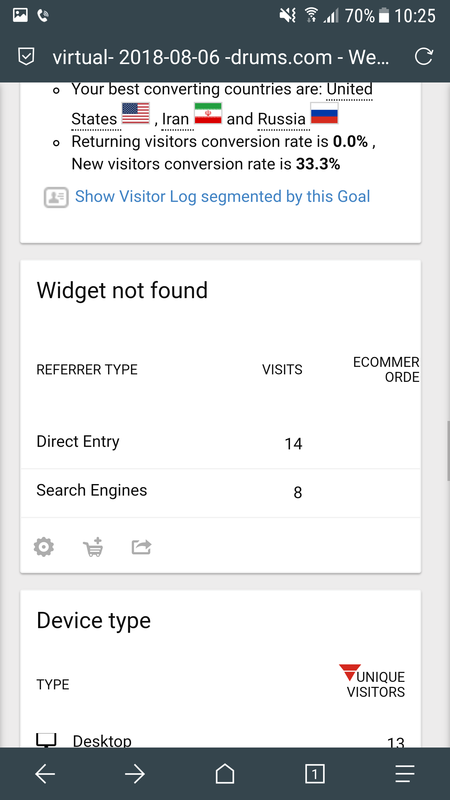 The other widget has a uniqueId of widgetReferrersgetReferrerTypeforceView1viewDataTabletableGoalsdocumentationForGoalsPage1idGoalecommerceOrder, not sure if this is expected or not. Wondering if it would be good to revert demo to 3.5.1 and see if the bug remains. If it's not a regression, then I don't think they're blockers for 3.6.0. I noticed there are also only 2 columns shown instead of 3 etc. @mattab I noticed there is a user dashboard entry where this dashboard is configured. Is this on purpose? Can we remove the goal reports? And can we maybe use the regular default dashboard?